Forshaw and Billy the Bee. It was a relief to Wigan Athletic fans when the Forshaw saga was finally resolved and the 22 year old eventually signed on the dotted line. Uwe Rosler regards him as the replacement for Jordi Gomez – a hard act to follow given the Spaniard’s spectacular form last season. 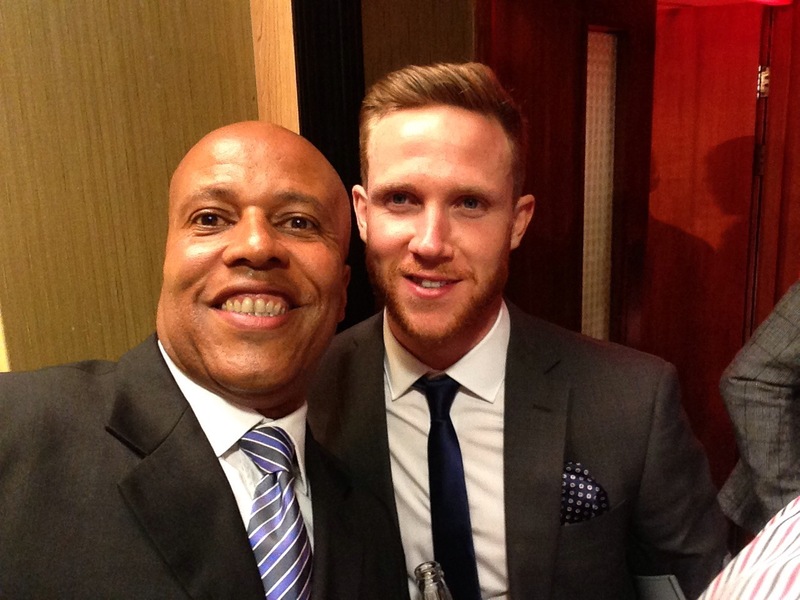 Adam Forshaw arrives at Wigan as the League 1 Player of the Year. The Liverpudlian is clearly a bright young talent who could provide the kind of midfield creativity that Latics need in their quest for promotion. In order to find out more about Forshaw we once again reached out to Billy the Bee of the www.beesotted.co.uk site. Billy has given us quality articles in the past and the one below follows that same pattern. Billy gives us a fascinating Brentford view on the player himself, followed by his take on the transfer saga. Forshaw is a great, great player. One of several obscure but talented youngsters plucked from the depths of the earth by Brentford’s Sporting Director Mark Warburton now Brentford manager (Jake Bidwell, Harlee Dean & Stuart Dallas to name a few others). Raw to start off with, he went on to play nearly 100 first team games for The Bees – experience he could only dream of gaining at his first team, Everton. Many Bees fans say he’s the best player they have ever seen pull on a Brentford shirt. The amount of times you would hear someone on the terraces say “He’s too good for Brentford” and “he will one day play at a higher lever. Probably for England” is too many. He’s a midfield general. A potential game-changer. An intelligent player. Controlling the game from the centre of the park. He understands the game implicitly. A clever player. He likes to pick up the ball and run with it .. But equally is able to pick players out with a pin-point pass. He’s a match winner for sure and last season, you could see that we occasionally lacked a bit of creativity in the midfield when Forshaw wasn’t in the side. He didnt score bucketloads of goals for Brentford but when he did, he would score some corkers. His crackers against Crewe and Sheffield Utd were right up there in the “goal of the season” list. Yes he can attack. But equally, he’s not shy in tracking back. Early on last season during our doddery period, we were surprisingly beaten by Rotherham at Griffin Park. The Rotherham fans were delighted. On our Beesotted match videos , one fan even said “If I die now, I’ll be a happy man” referring to the fact that they had just beaten Sheffield Utd .. then Brentford. On asking them what Rotherham did to beat us they said ” It’s not what we did. It’s what you didn’t do. Just give the ball to your number 4 (Forshaw) all day long. He’s a different class”. One thing that really counts for a small club like Brentford is the players’ personality. There is now an ethos of the club signing level-headed, “sensible” players. No matter how talented a Nile Ranger or Gavin Tomlin may be, they don’t fit into our ethos any more. And if you ever meet him, you’ll find out that he’s a lovely guy. Mild-mannered. Humble. Hard working. Always happy to chat with you or sign autographs for the kids. And knowing what he’s like, he was probably embarrassingly sitting at home with his hands over his eyes watching his transfer being played out in public. Beesotted managed to get a brief chat with him during the pre-season match against Barnet – his last ever interview as a Brentford player. The last time we spoke to him before this was in the pub after we won promotion. He was down there with the rest of the team .. the manager … the owner .. and the fans. Diamond player. Diamond geezer. Good luck in your career, Alan. Hopefully one day, I will be able to proudly stand behind the goal at Wembey Stadium …. … on your England debut …… thinking “I was there when it all started”. Yes the transfer could have been conducted better. But it’s over now. And we’ve all moved on (bar a wee bit of fun and fishing on twitter .. where many fish seem to be biting). I have never hidden the fact that I think Uwe Rosler is a nice guy … and a good manager. And I have no reason to change that opinion. I also am realistic that he is in a new job .. with a new boss … and needs to produce results. However, I think this deal was a bit of an eye opener for him. Hopefully, he will learn from this experience and approach his next tricky deal slightly differently. So Adam Forshaw has finally left West London. It was interesting watching the the stink kicked up by this recent transfer both in West London and in Lancashire. Without going into a whole who-hah about it … Beesotted were privy to much of the goings ons behind the scenes from day one. Brentford were trying to keep as much detail as possible from going public as they were trying to convince Forshaw to stay. It wasn’t in their best interests to let this news go public. Once @SkySportsPeteO leaked the information on twitter (where did he get that information from we ask? ), Beesotted fanzine were first to break the news properly .. naturally we were unable to publish all the information we were privy to .. but folk who could read in between the lines got the gist of what was going on. Being realists we always knew that someone would always come in for Forshaw, such a good player he is. We cleverly hid him away during the whole of the Christmas transfer window to “protect his injury” ensuring that no-one poached him from us during that crucial period. He miraculously became available again immediately the window slammed shut. Brentford’s main bone of contention was not the fact that he went to Wigan. It was the unprofessional way they felt the transfer was conducted. Ironically, at around the same time the Forshaw kerfuffle was gong down, Nottingham Forest were quietly going about securing Peterborough’s star player Britt Assombalonga. Did Posh want to sell him? Probably not. However as opposed to the Forshaw saga, this transfer was thrashed out professionally behind the scenes (no embarrassingly low offers and leaking to the press) with the deal announced to the world only once it had been finalised – when all sides were “happy” with the end result. Brentford are used to being bullied. Teams coming in. Offering us peanuts. And expecting us to cave in (we got £500k for DJ Campbell from Birmingham when we were flying at the top league 1 and got mis-firing Callum Willock in exchange .. we ended up missing out in the playoffs .. .again). Luckily, with Brentford fan Matthew Benham at the helm, that wasnt going to happen this time and, once it was ascertained that Forshaw definitely wanted to leave, the club were prepared to sit tight until the valuation was met – the final settlement being £3.6mill rising to £5mill after add-ons. Times have changed for Brentford. For the better. This transfer sent a huge signal out to footballing world. In reality, Wigan could have got to this same stage faster, more professionally and with dignity. But we’re here now. And having lined up a number of replacements, including a creative midfielder from La Liga (Jota) and a wonder-kid from Arsenal (Toral – just look at our last minute goal at Rotherham that he set up), the club has have moved on quickly. Billy (@BillytheBee99) writes and videoblogs for Beesotted (@beesotted) fanzine … www.beesotted.co.uk … If things go to plan, Beesotted will be looking to do a pre-match live TV/radio broadcast link-up with Wigan fans for the match at the DW Stadium in October. ← FFP and Latics – should Whelan splash the cash?